You might not be easily convinced with the attribute that SEO or Search Engine Optimisation can double your business’s sales as it may sound a bit unrealistic. But to know, it is not! It is a fact that E-commerce SEO and conversion rate honing can increase your sales and traffic by two times. The SEO analysis needs to be done periodically because neither your e-commerce website nor the SEO is stable. Your SEO strategy must sync with your mottos. Using Google Webmaster Tools is a great option to find and fix annoying SEO problems. You must identify the problems and look for solutions to fix it. There are a number of tools available to identify the problems and these even suggest you solutions to fix them. Regular and manual analysis of the pages may also help you in identifying problems with your pages. Analyze categories and subcategories one after the other on your website. Know the areas that must be improved and find relevant measures to get it done. The usage of mobile devices is growing at a very high pace day by day. There should not be any delay in developing websites for mobile devices. There would be a million thoughts popping in your mind to know how this can be done. Questions regarding improving conversions, attracting more traffic, expanding sales and converting buyers into fans might be making you eager to know more. a. If the items will be included in the stock later, you better don’t hide, delete or replace the pages. Don’t even redirect the buyers to some other page or place another product. b. Offering other mighty alternatives from the site can also be done. c. Inform buyers about the accessibility of the item in the merchandise. d. Back ordering is also a relevant option for you. e. Provide them with a solace by proffering some kind of advantages in monetary or other terms. a. 301 Redirect can be used for the expired product URLs to redirect the customer to the new product’s URL. b. The customer can even be redirected to the parent category if you have got other relevant products to offer. c. If you don’t have any alternative to redirect the customer, deleting the expired product’s content, pages, and URLs can be a worth adopting option. d. URLs can be reused if it doesn’t include technical specifications, model numbers or any other such detailing. e. The pages that could be of considerable use for the existing customers must be kept unimpaired. Strengthening product categories must be your focus in such a scenario. The seasonal products can be linked to the product category links. Optimise all chief product pages and then spend on strengthening the product categories. You may even add the year to the URL of the product page that will most probably be replaced annually and redirects the older page’s URL to the new one. Internal linking, using less popular versions of the product keyword and improving the structure of the website can be quite helpful to you. Link home page, product pages and parent category pages to one another to let Google index your content first. Try adding the new products to the home by optimizing the theme every time a new product arrives. a. Differentiate your most popular product pages from others and fill them with content on regular basis. b. Emphasize on nourishing the parent product categories instead of focusing on innumerable products. c. Stick the customer reviews and endorsements to the product pages to distinguish your content from others. Reposting the product descriptions from the manufacturers would be a duplicate content on your website. The comments and reviews by the happy customers can prove to be of immense use to you in making the product page content unique. a. Personalize the content by providing solutions to the customer problems. b. Add stories to the description, full of emotions and feelings, to make it more relatable. All the e-commerce website have products that have same features and specifications but differ in color and size. In any listing, this can be considered as duplicate content resulting in bad rankings. Get your product variants ranked for the right keywords. After home page, the category page is the most popular one. a. Every category page must be treated as a separate home page and consider your categories as separate niches. b. There must be content in the category pages as well. c. Content Marketing, guest blogging, paid ads and social media will prove to be helpful in building deep links. d. Use specific tags on Twitter, Google Plus and other social media for the content. e. Render best services to the customers and search engines. f. Use simple and search-friendly URLs that strongly hint about the content in that URL. Invest some time in internal link architecture and to plan what can be done. a. Provide the customers with an overview of what they will find in the pages and subcategories by offering category level navigation. b. Optimize right keywords for the right category-level product. c. Breadcrumbs must be used on all the pages. Having positive reviews from your customers can boost the sales conversion and the user will directly become the part of a happy community. a. Publishing happy buyer’s reviews and testimonials on your page can help in inculcating a trust factor among the new customers. b. Using Schema.org will let you get stars beside the listing in the search engine pages, hence affecting the click-through rates. c. Integrate social media pins on the product pages. 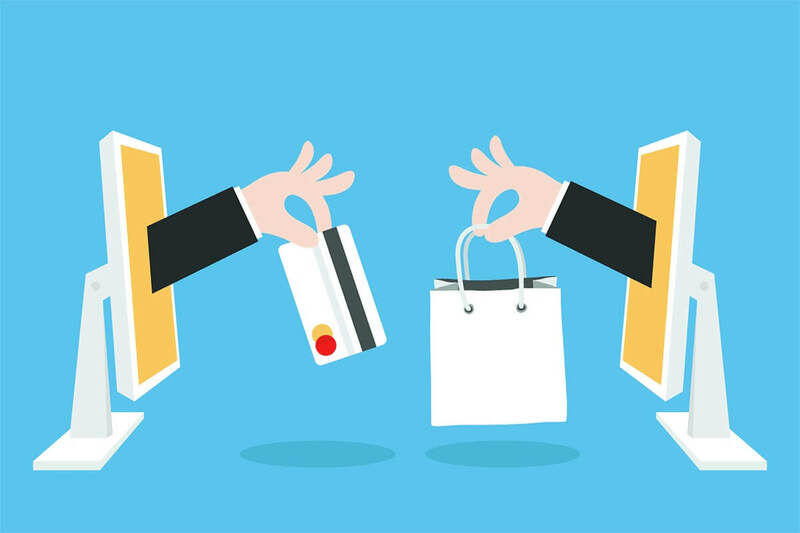 For a successful e-commerce website, you must get an experienced e-commerce web designer who can work with the SEO team while designing your website. Using website design and information architecture together and having no URLs or pages disturbing the structure, the website will flourish every time you add a new product page. You will be able to generate more sales with extraordinary content and good design. a. In the earlier planning phase of the web design, SEO must be embedded into it. Using category templates and promoting product pages internal links is very efficacious. b. It must be understood that the SEO for e-commerce websites is different from the traditional SEO. From a deep understanding of human psychology to social media marketing and communication, e-commerce SEO includes it all. c. The web designing process of an e-commerce website is a never-ending process. When you have a buyer, it is never like he will check only one product. If he sees more relevant products, he will also have a glance at those. Placing the right alternatives for your customers will enhance your sales. a. Relevant options must be offered to the customers so that they consider those for buying or recommending those to others. b. The featured product must obviously be assigned most of the space on a page. Other suggestions must be located in a proper manner. It is important for an expert to optimize his e-commerce site for internal site search also just like optimizing it for Google’s search. People searching wrong spellings, hyphenation or other mistakes must also be taken to the right product pages. a. Track the keywords that people use to search within your website. b. You can even know about the popular searches on your website. c. Use tools to track clicks on your different pages like home page, category pages, and product pages. d. The search results need to be relevant and must solve the queries of the customers. e. Analyzing the visitors’ searches can also let you know about the products that you can add to your website, identify popular products and more. f. Try to fix errors in your website by testing the search and know about the problems. g. It is important to optimize your site’s internal search. Your site’s search must find the right product for every keyword entered. Adding high-quality pictures and videos with your product will influence the feelings of the visitors. The buyers must feel the benefits of buying a product from your site. If the visitors post comments and like the product, it will make the content on your page more unique. a. Posting high-quality pictures on your website will create an atmosphere and increase sales. Posting videos would be more influencing. b. Pictures also need to be optimized. You must write relevant alt text, caption, file name, etc. c. You may also try using different pictures to know which one attracts more traffic. Sort out the canonical issue in the HTTP header for the product on the sale page, so that Google identifies it as another URL and rank it. Mobile devices must not be ignored while you are planning an SEO strategy for e-commerce websites. Offer them to use the desktop or mobile version of the e-commerce website. Your customers must be assured that their identity and data is in safe hands. Displaying logos and text certifications can exhibit that you take care of security standards. Let them know that it is 100% secure to shop on your website.